Alan Merck has been named Senior Vice President and Chief Operating Officer for Blue Ridge Energy, a member-owned electric cooperative serving some 76,000 consumers in northwest North Carolina with corporate headquarters in Lenoir, NC. Merck joined Blue Ridge Energy in 2012 as Director of Key Accounts/Business Development. Later, he was named Director of Innovative Energy Solutions. Previously, he spent 29 years with Duke Energy in various roles including: Transmission/Substation Design and Construction, System Operations, Bulk Power Trading Floor, and Wholesale Power Contract Management. He holds a B.S. in Business Management and an A.S. in Electrical Engineering Technology. In his role as COO of Blue Ridge Energy, Merck oversees system engineering and distribution and transmission operations, electric plant, reliability, engineering, power supply planning and coordination, customer service, economic development, and member relations. 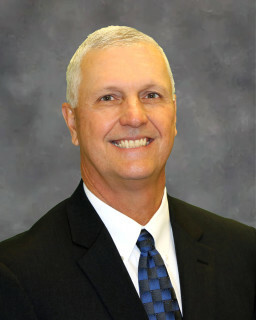 “Alan has a proven track record in expertly managing a wide range of critical areas that benefit our members with the most reliable, affordable electricity possible delivered with the personal touch care, service and commitment to improving local communities that sets apart cooperatives,” said Doug Johnson, Chief Executive Officer of Blue Ridge Energy. “This is especially critical during this period of system upgrades to meet the power demands of our members in northwest North Carolina now and for the future,” Johnson added. Merck and his wife, Kelly, along with daughter Lydia, live in Granite Falls in Caldwell County. Their daughter, Lindy and husband, Jacob Lail, also live nearby. Blue Ridge Energy serves 76,000 members in Caldwell, Watauga, Ashe, and Alleghany counties as well as parts of Alexander, Avery and Wilkes counties. The cooperative also has two subsidiary companies, Blue Ridge Energy Propane and Fuels which serves residential and commercial customers, and RidgeLink, a business-to-business telecommunications and broadband provider. Learn more at BlueRidgeEnergy.com.